A report for each tree that has been monitored can be generated from the sensor data by logging in to the treesensor.com website. The generated report can then be used as a summary report for the client or an appendix to a larger, more detailed report. The first time you log in you will be prompted to register your details, using your email address as user name and selecting a password of your choice. A company logo can also be uploaded for inclusion on your reports. Once you have registered with treesensor.com you can simply log in at any time to process new reports and access previous reports. Once the monitoring period of a wind event is completed on the tree, the sensor data is ready to be uploaded. The PiCUS Tree Motion Sensor contains a micro SIM card that can be removed and inserted into a card reader. Alternately, the sensor also has a micro USB connection that can be directly connected to the computer. The data can be easily uploaded using the Report Page on the treesensor.com website. To generate the report you will be prompted to enter some details about the tree including location, species, dimensions and other general information. You have the option of adding up to 400 words about the tree, site and any other details you consider relevant. You can also upload two digital images (portrait preferred); an overview image of the tree and an image of the sensor in position on the tree. Your next prompt will be to upload the data files from the PiCUS Tree Motion Sensors. Once the upload is completed you have the opportunity to upload additional data from the Control sensor. After the data is processed you will be asked to select your payment option. When the payment process is completed your report will be generated. The report gives a complete summary of the dynamic movement of the tree’s structural root zone that occurred during the monitoring period. It is an accurate and factual record of the tree’s response to the winds that occurred during the monitoring period. The data and graphs clearly show the dynamic movement of the tree’s structural root zone and the direction in which this movement occurred. 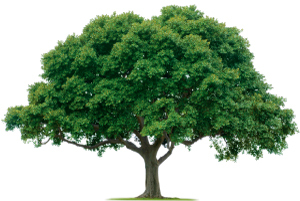 Trees are identified by treesensor.com as being in the Low, Medium or High range of recorded movement. The stability range given to each tree you monitor is based on the tilt values recorded for that tree. You can monitor the same tree at a later date to identify whether the movement of the structural root zone has changed by comparing the new data with the previous data. If there has been some alteration in the tree’s structural root zone, any change or increase in the tilt measurement under natural wind loading will be recorded. For example, this can include infrastructure installation, civil works or fungal attack that have damaged tree roots and may have affected the structural root zone.